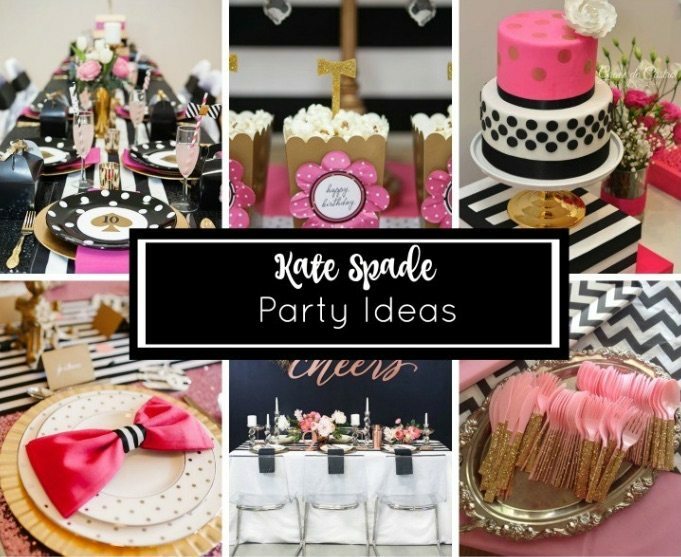 If you’re looking for a super stylish party theme for a tween girl or a fashionista who loves her accessories, you can’t go wrong with a Kate Spade Party. 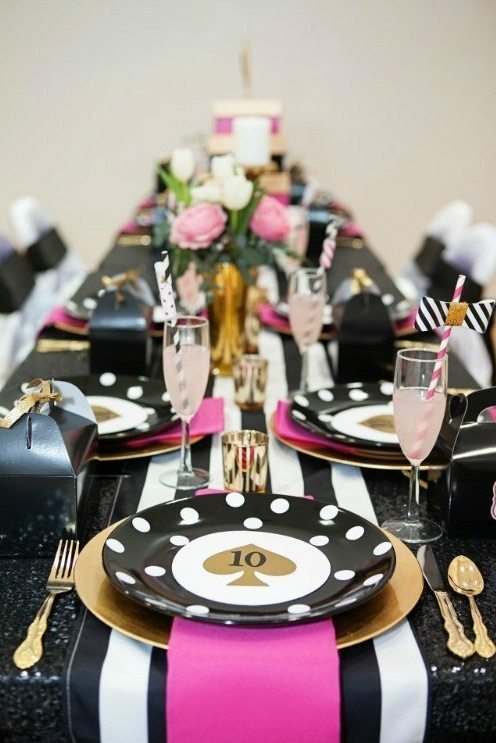 You will drool as you look at these fabulous Kate Spade party ideas that we’ve sourced all over the net. 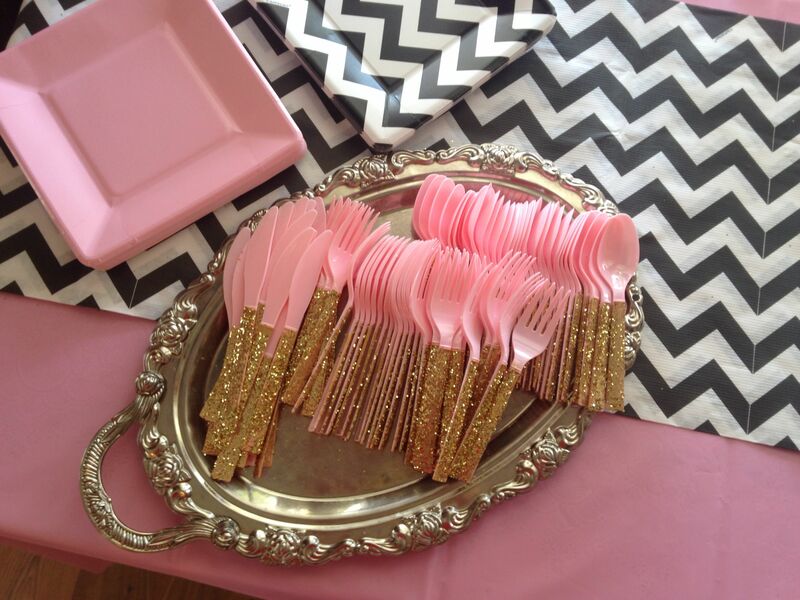 As all fashionistas know, life’s a party with Kate Spade. Keep the party colours to black, white and pink. Kate Spade is known for her contemporary edge through the use of monochromatic patterns and infusion of colour. Keep that in mind as you style the party. For a fun invitation idea, why not send the invites in a box tied with ribbon? 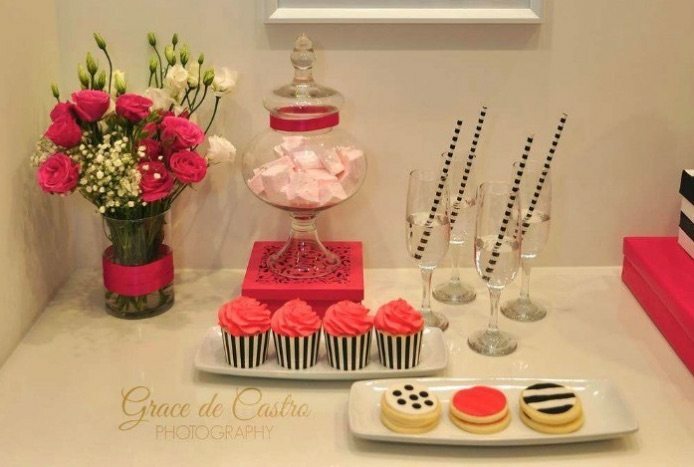 Create a dessert table for guests, choosing all things sweet to eat. 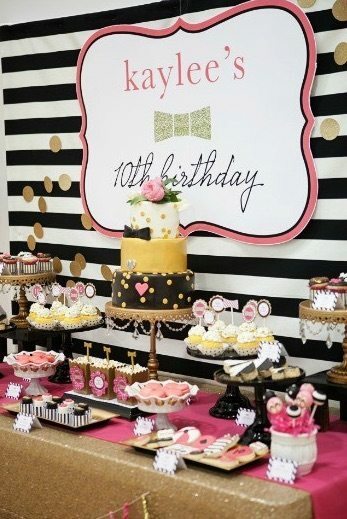 Top cupcakes with bow tie toppers and infuse gold polka dots amongst the display. 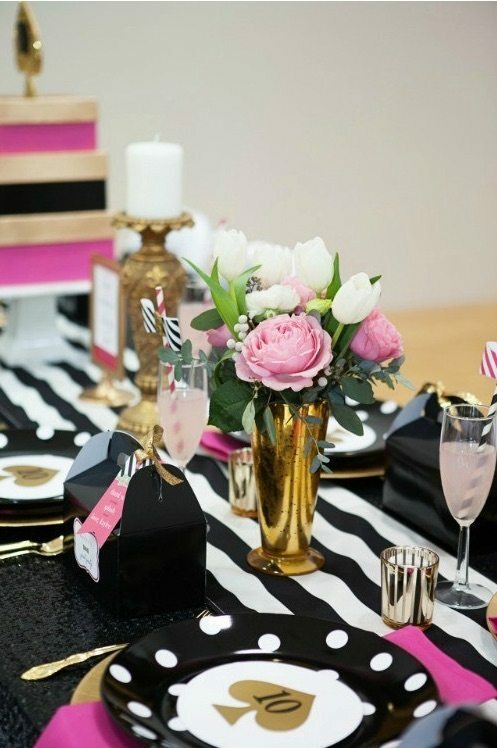 For a mature party idea, why not have a Kate Spade inspired dinner party? 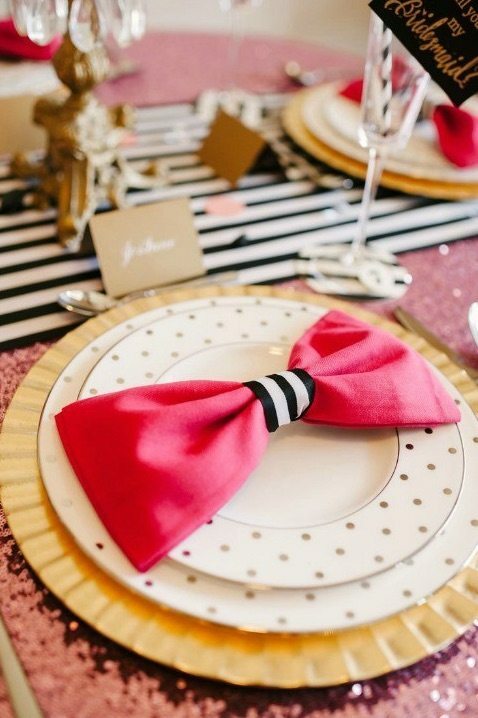 Mix stripe straws and polka dot plates for maximum impact. 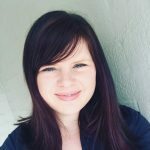 Add gold accents to the diner setting using gold candle sticks and vases. 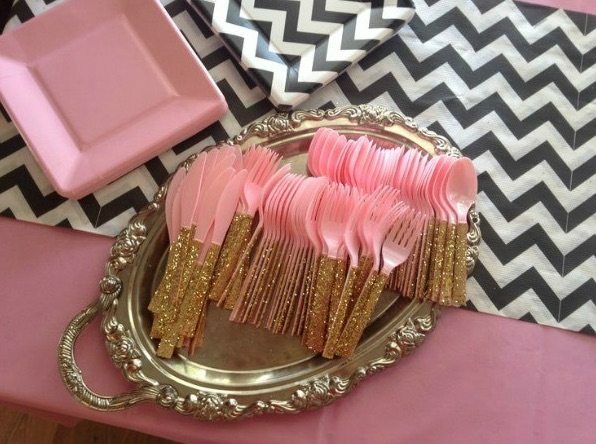 Decorate pink plastic cutlery with gold sparkle washi tape. Make a simple backdrop by framing popular quotes associated with Kate Spade. Decorate dinner plates by making bow ties out of the serviettes. 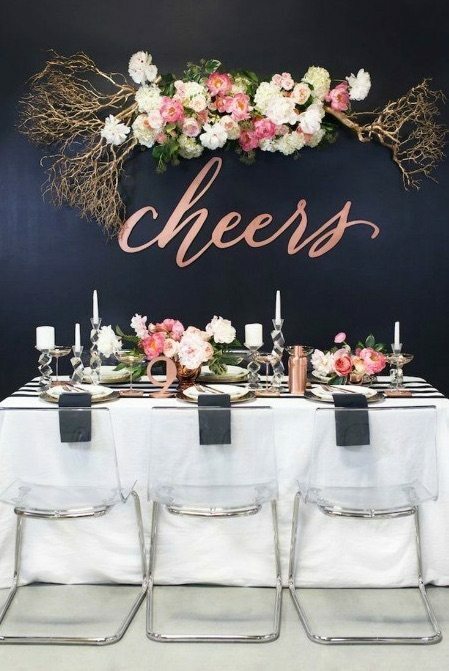 Decorate with flowers and copper accents on a black and white stripe table runner for a different dinner setting idea. 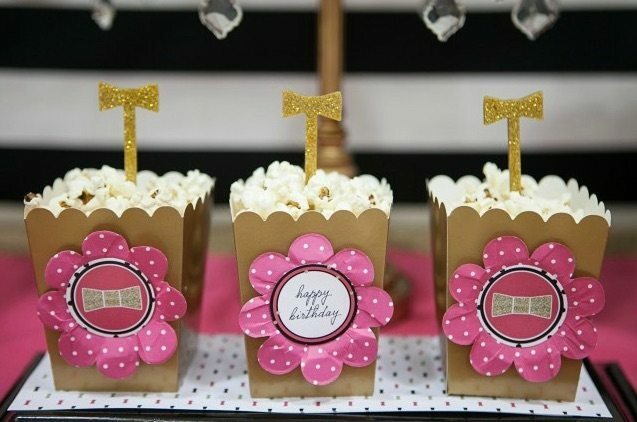 Serve popcorn in gold boxes, styled with gold bow tie toppers. Keep the food simple and minimal so the accessories and colour do the talking at the party setting. 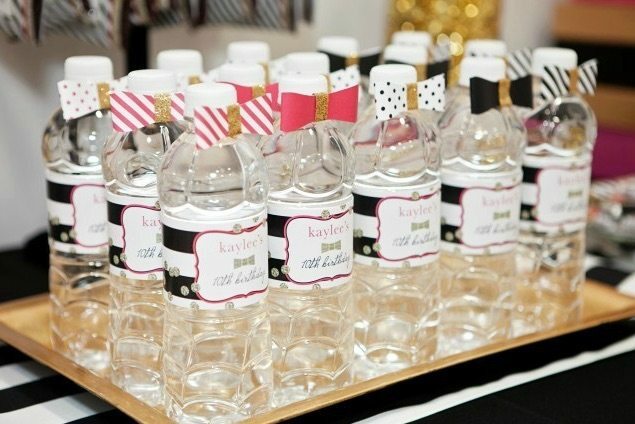 Decorate water bottles with bow ties in the party signature colours. 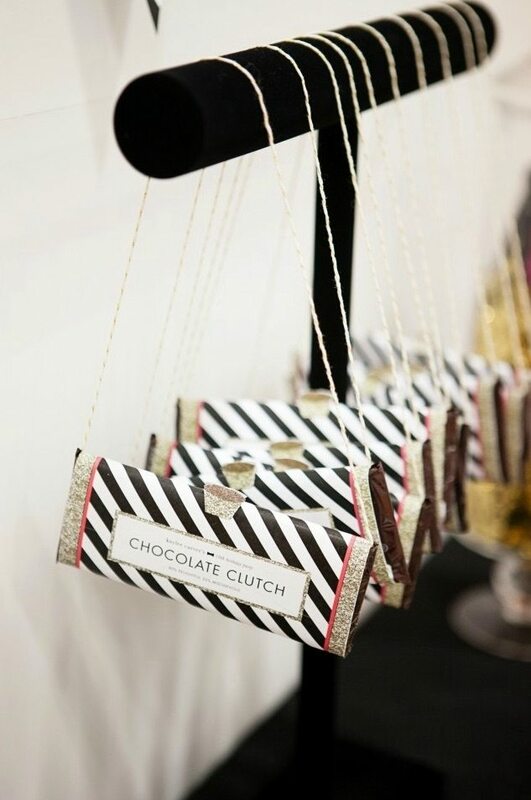 For a cute party favour idea, turn blocks of chocolate into clutches. 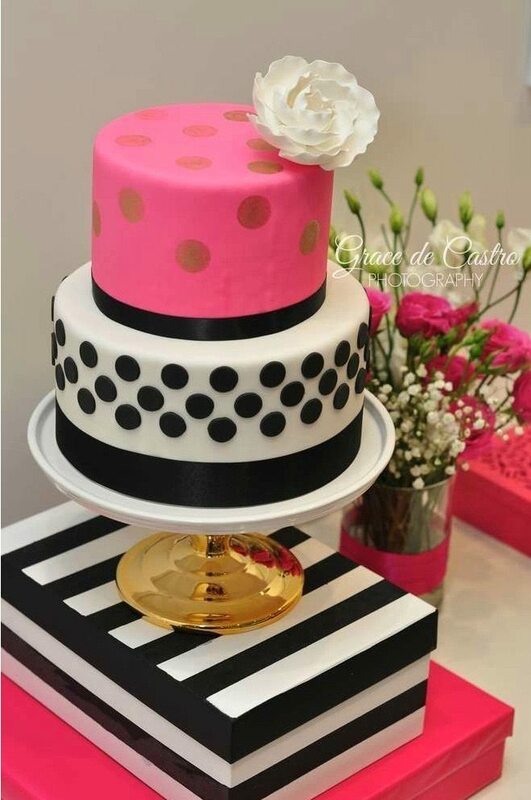 For a final Kate Spade touch, decorate a tiered cake in black, white and pink with polka dots and flowers. Are you a fan of Kate Spade accessories? Know someone who’d love a Kate Spade party?